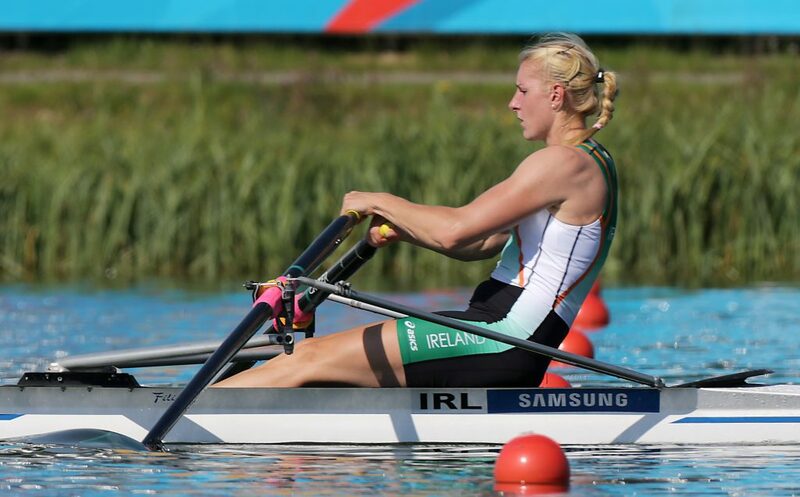 Sanita Pušpure was born in Latvia whom she represented at junior level before moving to Ireland in 2006 after her husband Kaspar secured a job in Dublin and by 2010 she was competing for Ireland’s rowing team on the world stage, going on to become the country’s sole rowing competitor at the 2012 Summer Olympics. 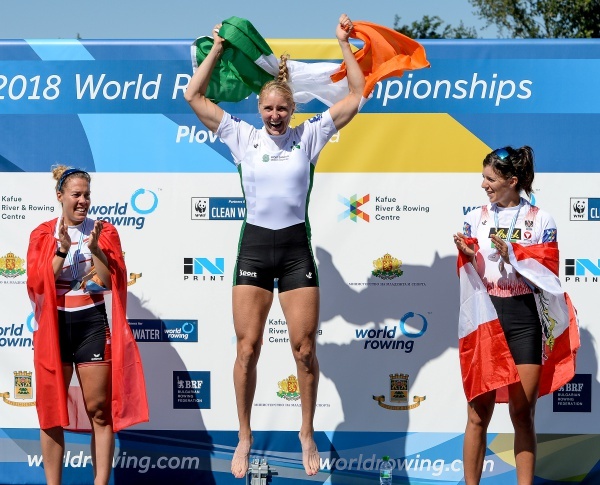 After years in the boat, she finally reached the top winning the single scull event at the 2018 World Rowing Championships. 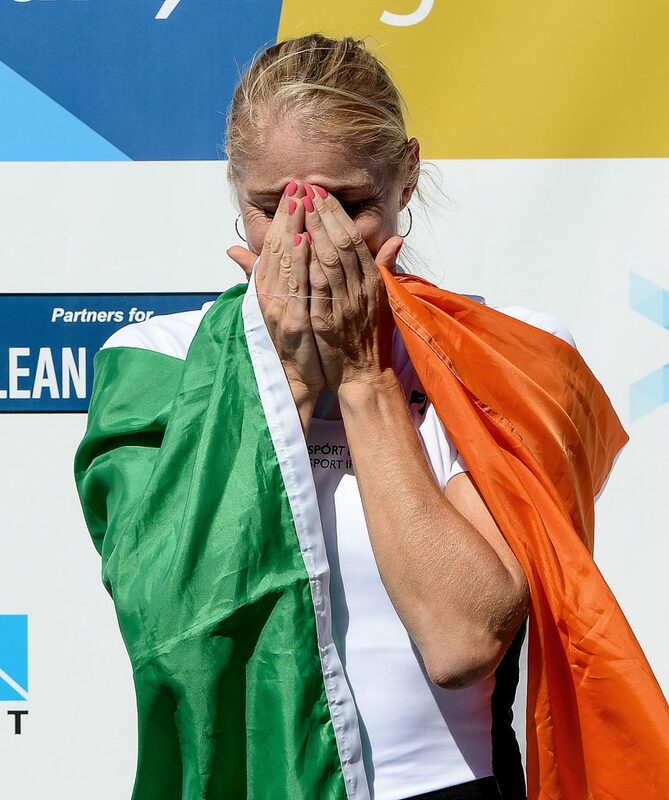 Her achievements are not only a testament to the years of work she has put into her craft but is also a reflection of the work going on within Rowing Ireland to provide conditions and growth to ensure that their athletes can reach their maximum potential. 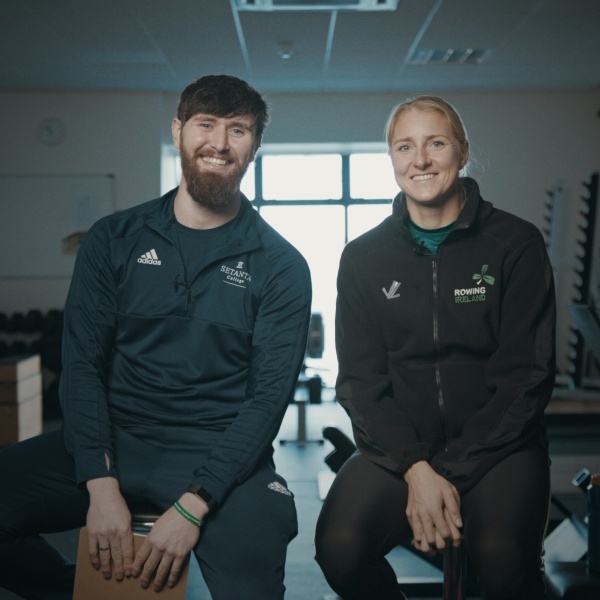 As well as balancing her career as a professional athlete, she is also the mother of two kids (Patrick and Daniella) and studies Strength and Conditioning at Setanta College making her schedule more jam-packed than any world champion out there. Pušpure sat down with Setanta College recently for a special episode of ‘Setanta Talks’ to discuss her training schedule and what it takes to become World Champion. “So, on a typical day I would be here at half seven warming up, then we spent 30 minutes in the gym just loosening ourselves out and activation work and stretching. “Then we’ll go on the water, and depending on the day could be 20 or 26KM depending what micro-cycle we’re in. We do the work, that takes about two and a half hours, then we go back inside. Getting warm is the priority again because it is normally really cold outside. 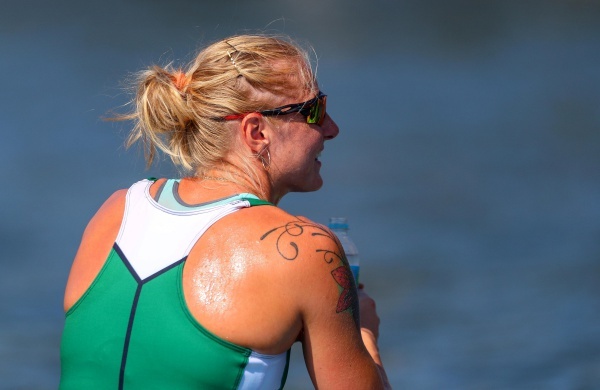 “If there are three sessions, then after two hours we will be going back out on the water again. That would take an hour and a half or two hours depending on how long the session is. Afterwards, we have to come in and make sure we eat and recover as a few hours later we will be going into the gym to do strength and conditioning work, which will take about an hour and a half with all the stretching, warming up and cooling down. The overriding factor throughout her day’s training is that she has to constantly take in more and more food so she can keep up with the demands of her workouts. It is something that the World Champion admits can become a chore. “So, As you can see there’s lots of food, food, food, food, recovery, food, training, food. We have to make sure we take in those 5,500 calories, and I think it’s more for boys. Balancing the other aspects of her life with such a hectic training schedule is not for the fainthearted, and Pušpure admits to sometimes not having the motivation to get up and push herself every single day, but her teammates are always there to pick her up when she is feeling down. “Sometimes there’s none, the team drags you out of bed and carries you along, so that is where that team environment is very important, and sometimes you are the one that carries others. “But you have to remember that final goal and why you are doing this, everybody has those days when they don’t want to go to work. “Most days it won’t be an issue, if everything goes well, you feel good and you’re looking forward to the work. The sessions are different so it’s interesting enough, you know it’s going to be hard but you are ready for it. “There are days when you don’t feel as great and that’s when your mind comes into it. I tend to bargain with myself, get through the first 5KM, get through the next 5KM, you just break the session so it doesn’t feel overwhelming when you know you have 26KM to do today and you don’t want to. Having faced hardship throughout her career, only to come back and win her first world championship whilst juggling such a busy life, Sanita Pušpure is a role model for all athletes and shows what can be achieved if you set the bar high for yourself and never give up. “It’s really nice to hear when somebody says, ‘You inspired us to go to the gym more often’, that’s really nice. “Some mom’s in their mid-thirties say they are going to back training, you can’t ask for any more really. This article was brought to you in partnership with Setanta College, a world-leading provider of sport and fitness education providing bespoke online and blended programmes in the field of strength and conditioning. Our graduates work throughout the world, as well as in their communities, with top professional teams and athletes in applying their knowledge to help improve coaching practice and general health and wellbeing.